Cold weather and delicious treats aside, the holidays are synonymous with one major activity: holiday shopping! Many nonprofits tap into these gift-giving traditions by creating their own nonprofit holiday fundraising catalog. With plenty of options to choose from, these holiday gift programs offer supporters the opportunity to give a meaningful gift that benefits a worthy cause. However, in order to drive purchases, you’ll need to attract interested shoppers! This year, try these tactics to promote your nonprofit holiday fundraising catalog. Your website is one of the most important places to promote any new campaign or project. Make sure you’re prominently displaying your catalog on your homepage, so site visitors immediately spot the opportunity to buy. Create a large, eye-catching CTA on your homepage that leads directly to your nonprofit holiday fundraising catalog. 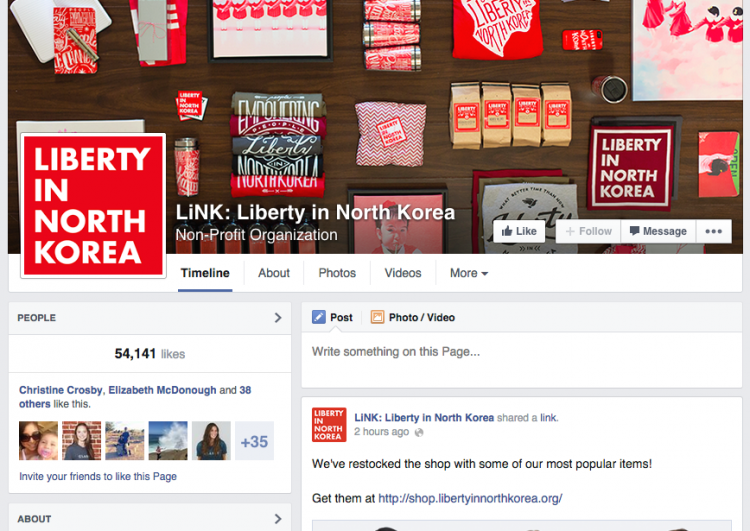 Take this example from Liberty in North Korea. As soon as you hit the organization’s website, it’s clear that you can donate directly or shop the fundraising catalog. Any and all distractions have been removed so viewers know exactly where to go. If your holiday fundraising efforts centers around purchases made from your catalog, then create a 2-3 part email series promoting your catalog to drive traffic back to your website. Include a call-to-action in each email so supporters always have a chance to respond. However, if you’re planning on running a complete year-end fundraising campaign in parallel with your catalog you’ll want to avoid fatiguing supporters with so many emails. Instead of a 2-3 part email series promoting your catalog, try dedicating one of the emails in your broader year-end fundraiser campaign to the catalog. 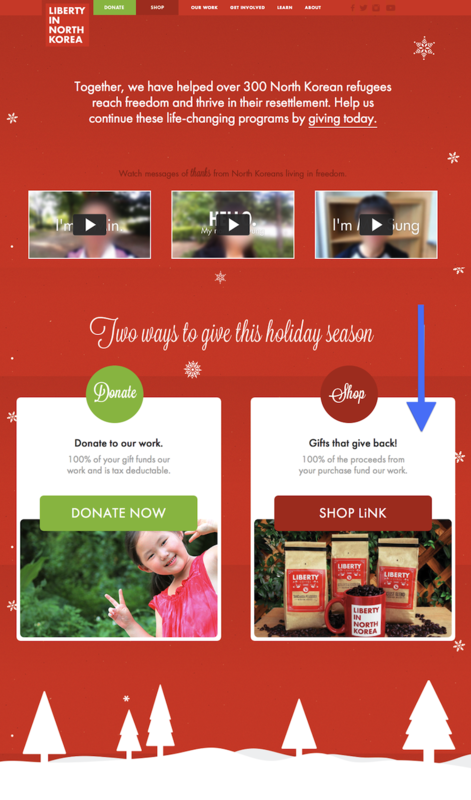 Also, make sure to include a distinct CTA for the catalog in each of your holiday fundraising emails. Even though a “holiday catalog” connotes fun consumer shopping, your emails need to make the connection for readers between “purchasing” an item and the impact it generates. Many nonprofit gift programs offer symbolic gifts supporters can donate to impact the organization’s mission. 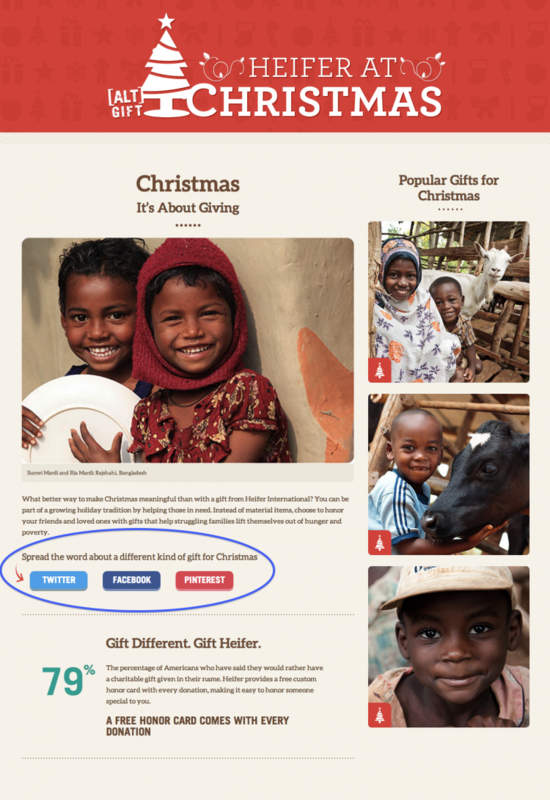 Because donors won’t actually receive the gifts they purchase, your messages still need to move readers enough to click through and complete a gift. 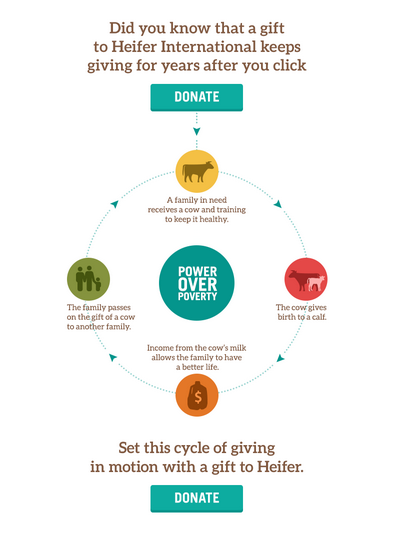 Take this example from Heifer International. Not only is the graphic engaging, but it also does a great a job of showing how one donation can trigger a cycle of giving within a community. A specific example shows that donors have the power to lift not just one, but many families out of poverty. Love146 also adds elements of storytelling to their email to connect with their readers on an emotional level. 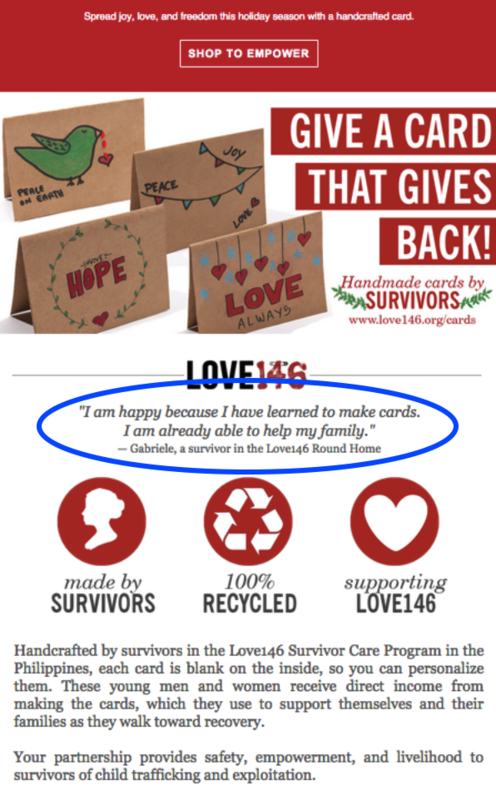 To promote handmade cards by trafficked survivors, the organization includes a constituent’s quote about the impact card-making has had on her life. For supporters, this glimpse into the individual’s story helps bridge the gap between the meaning behind the cards and the act of purchasing one. Tip: In your messages, ask supporters to pass along the offer to their friends and family. Make sure to include social share buttons in your emails so supporters can easily share them with their networks. Create a hashtag for your catalog campaign. This allows you to track any conversations and create a stream linked to your organization. Change your Facebook and Twitter cover photos. Update your cover photo to spotlight your nonprofit holiday fundraising catalog. Facebook allows you to add a description for your cover photo, which is where you should include a link back to your specific webpage or micro-site. Check out how easily LiNK’s cover photo increases awareness about their catalog. Post and tweet using images. A Facebook post’s lifetime lasts only a few hours, so post about your catalog several times throughout the week. Include photos with every post and tweet to maximize engagement. One HubSpot study found tweets with images produced 41% more retweets and 55% more leads than text-only tweets! …a pre-filled tweet appears in the message box! Note how the message includes the campaign hashtag and a link back to the site. To learn how to include custom messages in your social share buttons, check out this great resource from HubSpot. Whether it’s your main holiday campaign, or simply a piece of your year-end fundraising efforts, your nonprofit holiday fundraising catalog can be a huge driver of donations this season. Unlock its fundraising potential by spreading the word (strategically) across your communications. Promote it well, and your catalog will be top of mind when people start doling out their year-end gifts!